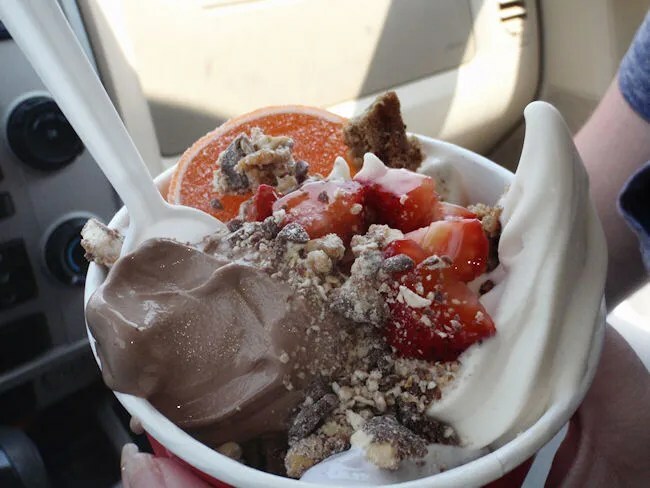 Remember a few weeks ago when I blogged about a new froyo place in Portage and said I don’t really like froyo but I’m gonna blog anyway just as a publicity thing? Yeah, this post is the same way. A few weeks ago after picking up dinner from Jersey Giant Subs, I noticed something going in to the shopping center on the other side of the driveway. When I mentioned it to J, she said she had heard a new frozen yogurt place going in to that area. After a trip to Battle Creek for BBQ, J asked if we could get some froyo before heading home. 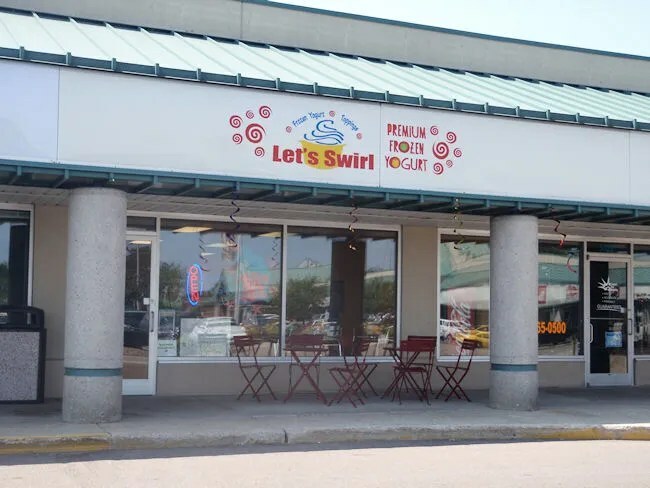 True, the corner of Main and Drake where Let’s Swirl just opened is not quite near Battle Creek, but it is fairly close to home for us, so it wasn’t very far out of the way. Just like our trip to YoGo Delites in Portage, L fell asleep on the drive there, so I decided to stay in the car with her and let her sleep while J went in to get her frozen yogurt. J tells me the brightly decorated space is pretty typical of the new fad froyo places. There are several soft serve machines with different flavors and a wide rage on candy and fruit toppings to choose from. You pay by the ounce, so you determine how much you’re going to spend based on how much froyo and how many toppings you pile on top. J is determined to get me in the door one of these days because she thinks they have a number of flavors that I would like. It’s a possibility, but I just don’t like the tanginess of froyo. 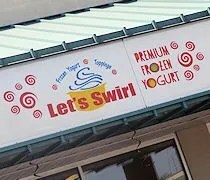 For those of you that do, J says Let’s Swirl is another great place to pick up the delectable treat. Y’opa is the better choice if you are looking for the frozen yogurt and variety in toppings.. Much nicer selection of toppings and it doesn’t feel like a cheap buffet.